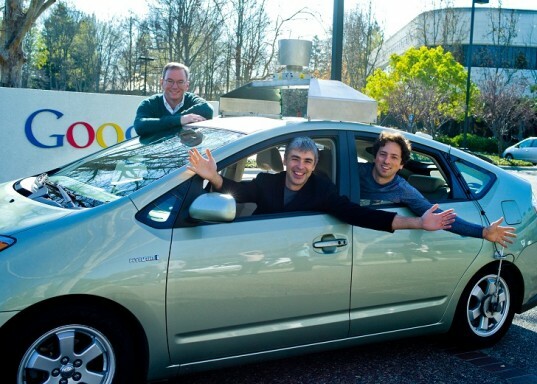 Just one day after Google announced its purchase of hand gesture recognition company Flutter, the search giant has applied for a patent for gesture-based car controls. On first read, the notion is pretty comical—as Engadget points out, the current array of oft-used in-car gestures serve little purpose other than to rage at fellow drivers. But Google hopes that we might be able to diversify a bit—changing the radio station or adjusting the a/c with little more than a wave of the hand. 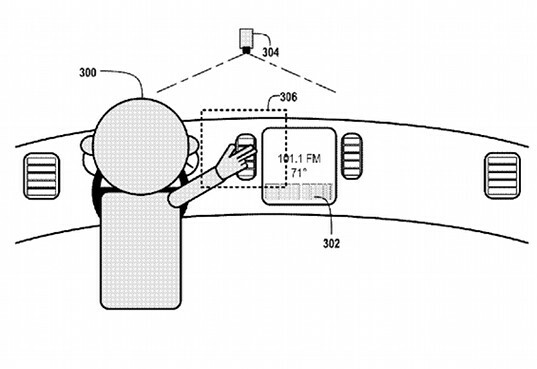 Google’s patent, which was filed with the USPTO this week, shows a system that would utilize a ceiling-mounted depth camera and a laser scanner to read simple gestures as commands for vehicle operation. Just as their autonomous driving technology could make the roads safer by reducing accidents that result from human error or distracted driving, the gesture-based car controls look as though they could yield their own safety benefits. Rather than scrambling for buttons on doors, consoles or a vehicle’s steering wheel, one could simply wave ones arm about to open or close a window or adjust the dial on the radio. Ironically, two years ago Google “launched” GMail Motion, an April Fool’s joke that suggested they were developing a new language for interacting with GMail through hand gestures. With the recent patent application and the purchase of Flutter, that doesn’t sounds quite so ridiculous any more.